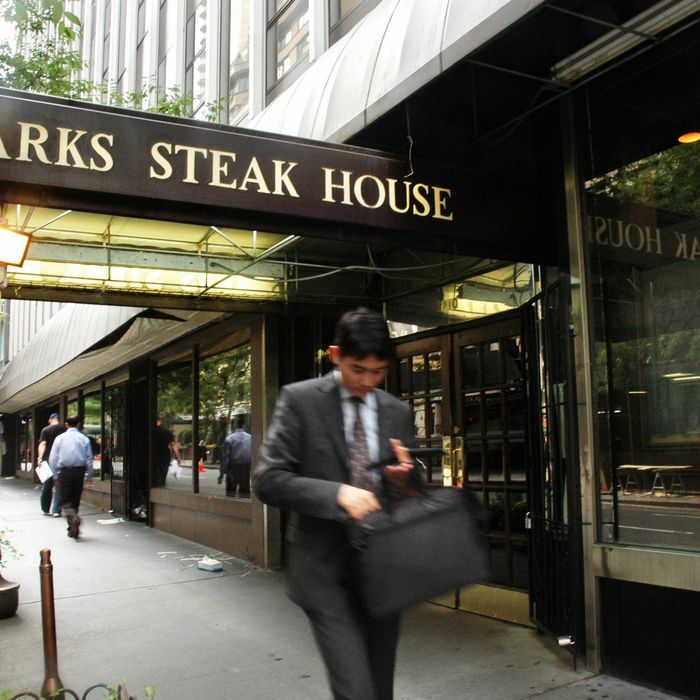 Back in June, it was rumored that Sparks, one of New York’s best steakhouses, was possibly in store for an unwelcome 50th birthday present from its landlord, the Durst Organization: a 100 percent rent hike. Such a bump would have caused the restaurant to lay off 87 employees and find a new home, co-founder and owner Michael Cetta said at the time. That was, it turns out, a little bit of noise. The restaurant will stay put for at least the next 15 years, as sources associated with Durst tell the Post that Cetta was able to negotiate a rent hike upwards of 40 — but not close to 100 — percent. Apparently, the restaurant sells enough prime sirloins to afford that not-insignificant adjustment. Sparks has called its current location at 210 E. 46th Street home for the last 40 years, and it’s somehow reassuring to know it will be there a bit longer.